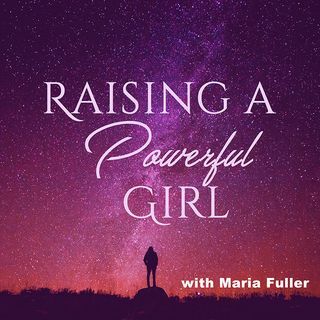 To Raise a Powerful girl we need to teach her to not only know who she is but also how to use her voice and in a manner that people will receive her message, these are leadership skills critical for a girls success later on in life and we are going to dive in deep during todays interview. Alexa Bigwarfe is a wife, mother of three, dog owner, and advocate for those without a voice. She started blogging as an outlet for her grief after the loss of one of her twin daughters to Twin to Twin ... See More Transfusion Syndrome (TTTS) and now uses the blog to advocate for those without a voice (katbiggie.com). She is also the founder of LoseTheCape.com, and is the editor and publisher of the Lose the Cape! anthology series. She has written and/or edited and self-published numerous books of her own and for other authors through her hybrid publishing company, Kat Biggie Press. She uses that hard earned publishing knowledge to support other writers and small businesses in completing, publishing, and marketing their books through her company Write.Publish.Sell (writepublishsell.co). She spends her free time writing about children's and maternal health topics and survival strategies for busy moms.